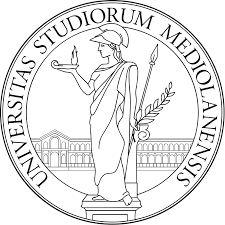 The University of Milan invites applications for a post-doctoral position (duration 1 year) on "The principle of economic conditionality in comparative perspective"
As indicated in article 2 of the announcement, all graduates who have an appropriate scientific-professional curriculum to carry out research activities established by this competition notice can participate in this public selection. PhD or equivalent qualification obtained abroad is preferential requirement for admission according to this competition notice. b. Degree in LAW or POLITICAL SCIENCE or equivalent, from an Italian or foreign university. c. Expertise in research area: Constitutional Law, Comparative Federalism, EU law. Qualifications must be owned on the date of expiry established for the presentation of the application form. Applicants in possession of degrees obtained abroad, who have not the declaration of equivalence, will have to enclose in the application form a translation into Italian or into English of the foreign degree, (Degree with marks earned in each examination and PHD degree), completed by a self-certification related to the correspondence to the original of the translation itself. The complete call for applications, in Italian and English, can be found here.